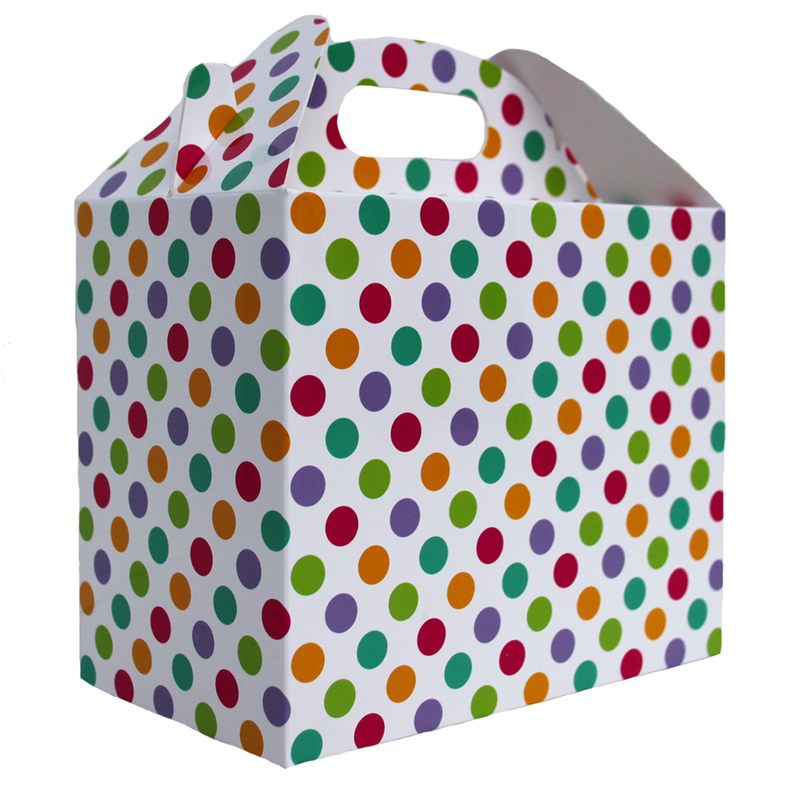 Pack of 10 Gable Boxes made from cardboard printed with a white background and multi coloured spots scattered all over. 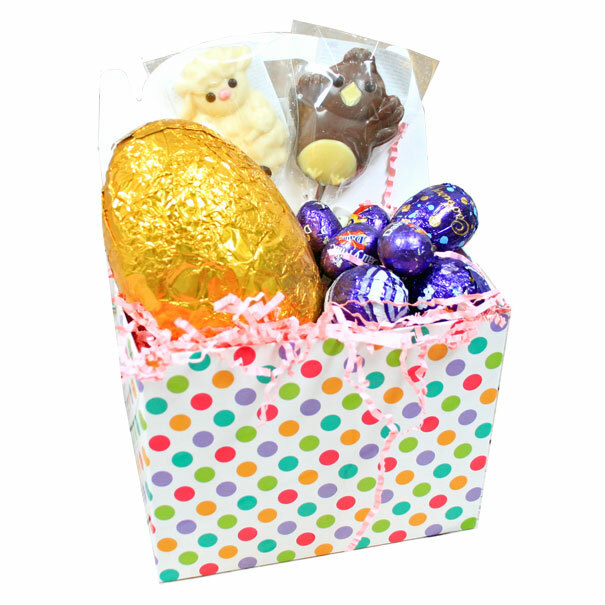 Perfect for gift hampers, party lunch boxes and gift party boxes. Each gable box is made with a crash lock base making it quick and easy fold into shape. Once folded the gable box has a handle hole measuring 6cm wide by 2cm high. Measurements are 17 x 10 x 14cm high to top of container space (20cm overall height).